Two years ago he was hosting the Oscars, and now he’s set to star in season four of FX favorite Fargo. 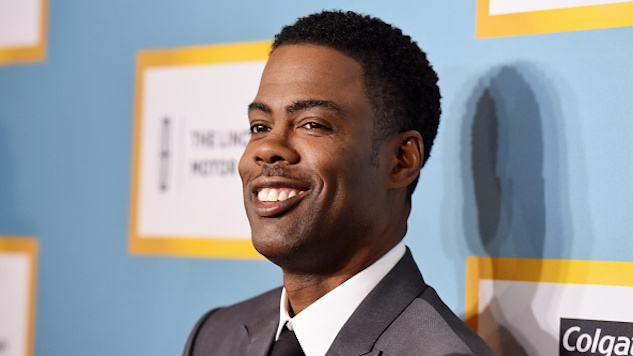 Chris Rock really can do it all. FX announced Friday the comedian will star in season four of the acclaimed drama anthology series, which will begin production in 2019. The show is set to premiere next year as well, beating out previous predictions of a 2020 debut. A tale of mid-century mafias, Fargo’s next installment takes place in 1950 in Kansas City, Mo., where two families—one African American, one Italian—have finally struck peace following an ugly rivalry. Rock will play the head of one of the families who has surrendered his oldest son to the enemy (and taken on said enemy’s oldest son to raise as his own) in order to succeed. Season four of Fargo marks Rock’s return to FX, where he previously served as a producer on Totally Biased with W. Kamau Bell. Noah Hawley, the show’s creator, who has recently been busy working on fellow FX series Legion, returns to Fargo in his role as executive producer. We do know. Since the Emmy Award-winning show’s inception, each season has seen its share of regular folks getting caught up in big ol’ messes. Each installment takes place in a different era and location, but somehow all the stories lead to one place in particular—Fargo, N.D. The first season, which starred Billy Bob Thornton and Martin Freeman, was set in 2006 and aired in 2014. Seasons two and three, starring Kirsten Dunst and Ewan McGregor, respectively, followed in 2015 and 2017. The latter made our list of the best limited series of that year.